Chelsea fans seemed to get on his back on a few occasions and Sarri accepts the ex-Napoli player was "in trouble" at times, but he did not take him off as he felt there was no adequate replacement for him on the bench. 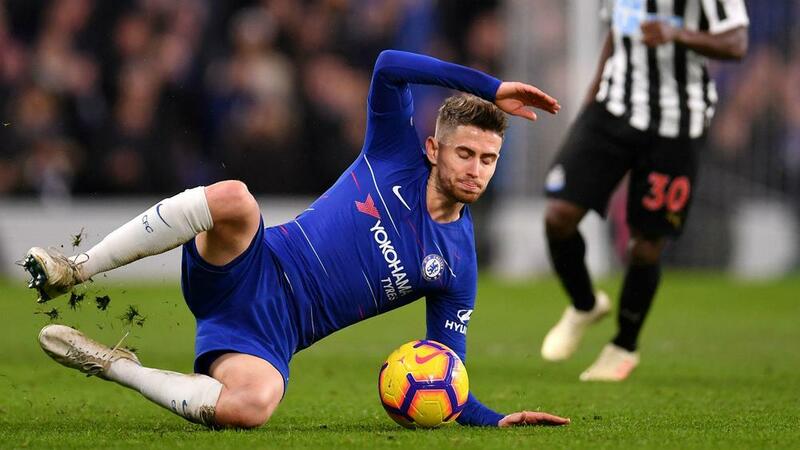 "Jorginho was in trouble and on the bench there wasn't a player for that position," said Sarri. "I need an option for Jorginho. "I have no idea [how soon a replacement will arrive].The club is worried, I don't know. The club knows very well my opinion. "I need the player there, it depends on the club's decision, I think. I cannot do anything more." Saturday's win was secured by goals from Pedro and Willian either side of a Ciaran Clark header. "It's very difficult to understand. In the last five matches for us it really was very difficult to score," he said. "[On Saturday] we scored after nine minutes, so the team thought it is very easy. We stopped to play and then we had problems. "We were not able to react in the right way to the difficulty. [The Newcastle match] wasn't a difficulty. We scored after nine minutes, so we did not have to face difficulty. "But in the last match, for the first time in Watford, we reacted very well to the 1-1, after the goal in the last minute of the first half. "I think, apart from the result, we reacted really very well in the last match with Tottenham. [Against Newcastle] we had only to manage a positive situation. I think we need to improve our mentality."